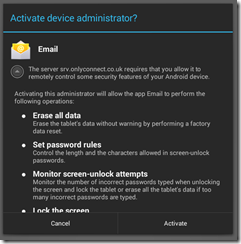 I have an Asus/Google Nexus 7 which is set up to receive mail from Exchange 2010. “Couldn’t open connection to server due to security error”. The message is not particularly clear. I went back into the account settings and verified everything (including Accept all SSL certificates, since mine is self-signed) and it was all fine – as I knew it would be, since it used to work. 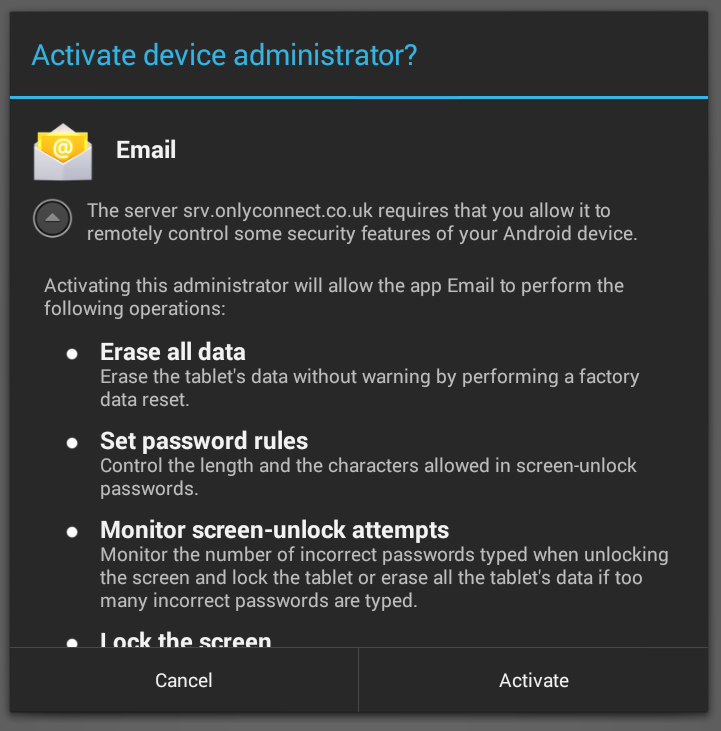 The error, it turns out, is to do with ActiveSync policies. Exchange is detecting that the device is not in conformance, and refusing to sync. Odd, since my ActiveSync policies are relaxed and allow anything. I tapped Activate and everything was fine. Mail now syncs again. I am still not sure how you find this dialog if it does not pop up automatically.